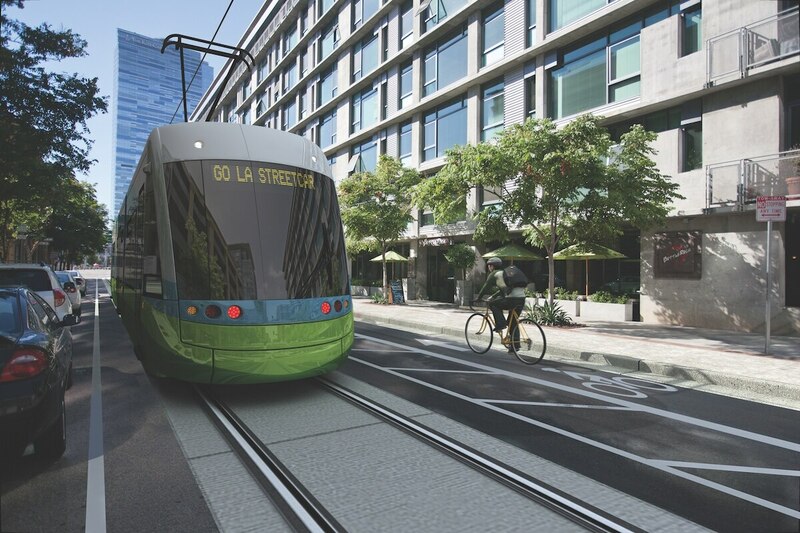 The Los Angeles City Council and Metro have approved a proposal by Los Angeles Streetcar, Inc. (LASI) to build a streetcar in Downtown L.A., with service expected to begin in December 2020. The proposed system would run from 1st Street to 11th Street between South Broadway and Figueroa Street, a route that was chosen based on resident polling. The line runs about four miles, and will provide a new mode of transportation within Bunker Hill, South Park and the L.A. Live area, the Finance and Jewelry Districts and Historic Downtown. Los Angeles had a vast network of streetcars — the largest in the world — that shut down roughly 60 years ago. It developed in the early 20th century but fell into disuse as cars and buses grew in popularity. After almost 90 years of streetcar service, the system shut down permanently in 1963. Officials hope the city's reimagined streetcar's modern features will set it apart from its predecessor and from national competitors. It will be the most frequent-running streetcar in the country, with a wait time expected to be between seven and 10 minutes, according to LASI. James E. Moore, II, professor of industrial and systems engineering and director of USC's transportation engineering program, thinks the primary motivation for a street car is real estate development. "I don't think a streetcar serves a particularly compelling transportation need," he said. "It's a small system. Slow speed. It presents an option for pedestrians, but there are already lots of mobility options in that immediate vicinity. I think it's primarily meant as a signal to commercial interests to continue to develop downtown." Given all that, Moore doesn't think the street car is worth the money. "What we see happening is private interests promoting the streetcar and turning to the public sector to pay for it," Moore said. "So it's kind of an amusement park ride that that local real estate interests are interested in the city paying for using [Metro] funds. Now [Metro] wastes a lot of the money that it generates, and this would be no bigger waste than some of its other investments, but that still doesn't make it a good idea." The total project cost will be about $280 million dollars, according to LASI. Some local return funds from 2008's Measure R sales tax revenues are set aside to pay for streetcar operations for 30 years, according to Shane Phillips, the LASI project director. Additionally, $200 million of 2016's Measure M sales tax revenues are devoted to the project. "We don't look at this as just kind of a stand-alone streetcar project," Phillips said. "If it were just doing its own thing and didn't compliment the streetscape projects, the bike lanes, and other things that are happening down here, that might be true that it's not worth it by itself. But when you look at it in the broader context of where downtown is going and where the rest of the region is going, I think it's the perfect investment for downtown." According to a report by engineering firm AECOM, the streetcar could create more than 25,000 new jobs, more than $1.5 billion worth of new development and $67 million in cumulative tax revenue. LASI hopes complete its final design by mid-2017 and aims to start construction in 2018. 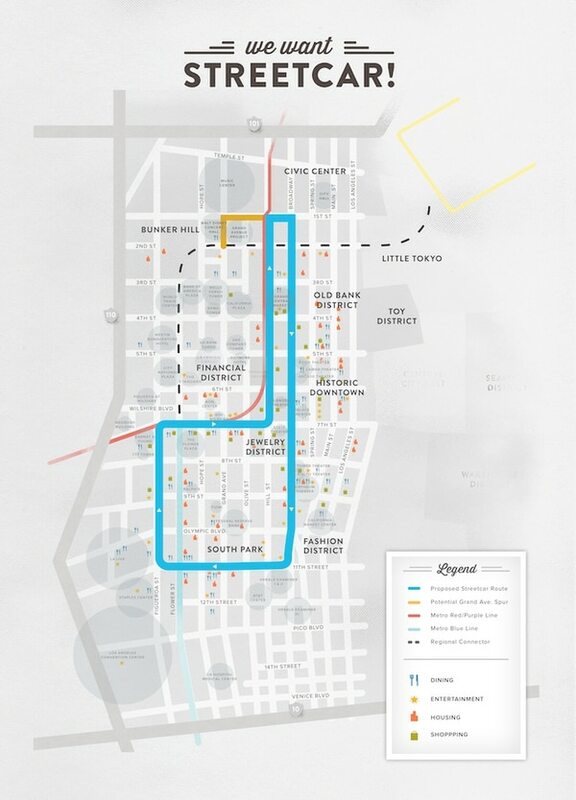 According to the completion timeline, the street car is expected to begin service in the downtown area by 2020. Reach Staff Reporters Madison Chelf and Charlotte Scott here and here, respectively.